Maximized fuel efficiency in fixed installations of combustion engines is generally achieved by applying the concept of lean burn. Due to this principle, the engine can use a higher compression ratio and thus a higher level of efficiency and more efficient fuel use. However, lean burn engines demand stable fuel supply conditions and they cannot tolerate a quickly changed heating value or flow rate. 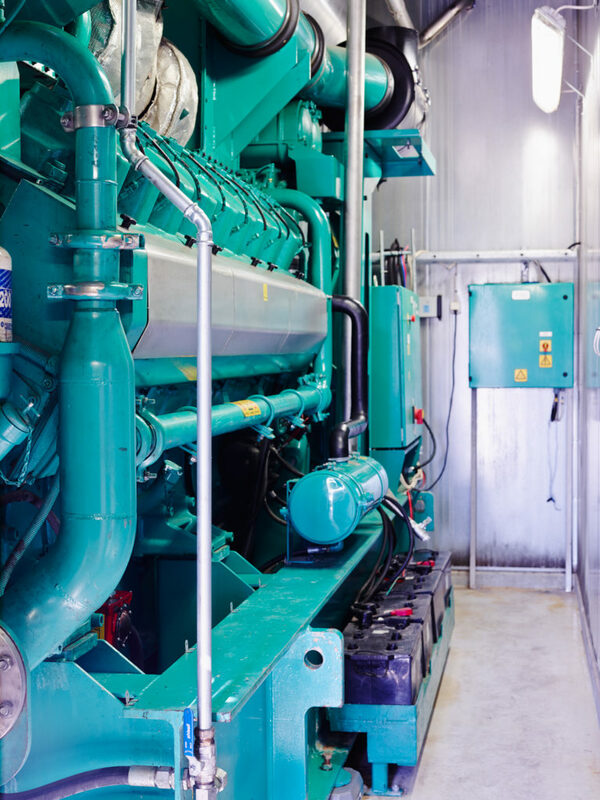 To the knowledge of Meva Energy, Meva’s technology is the only gasification system in the world being able to use lean burn CHP engines. 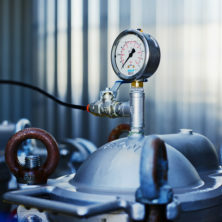 The reason is simple; the incomparably continuos and stable character of the process ensures that the gas supply exhibits extremely small level of variation. Biomass, such as wood chips, logs, pellets etc. are often burn to warm a single home, a corporate facility or to power district heating and hot water boilers. Unfortunately, conventional biomass combustion results in air pollution and contributes to health issues. Therefore, the European union has imposed restriction on biomass combustion. Many geographical areas today face restrictions on air pollution and need to take actions in order to improve the life quality of the citizens, e.g. China’s blue sky initiative. 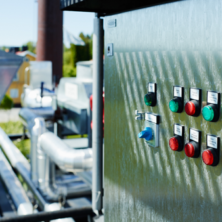 Unfortunately, traditional bioenergy boilers also contribute to this issue even though they are using renewable resources. 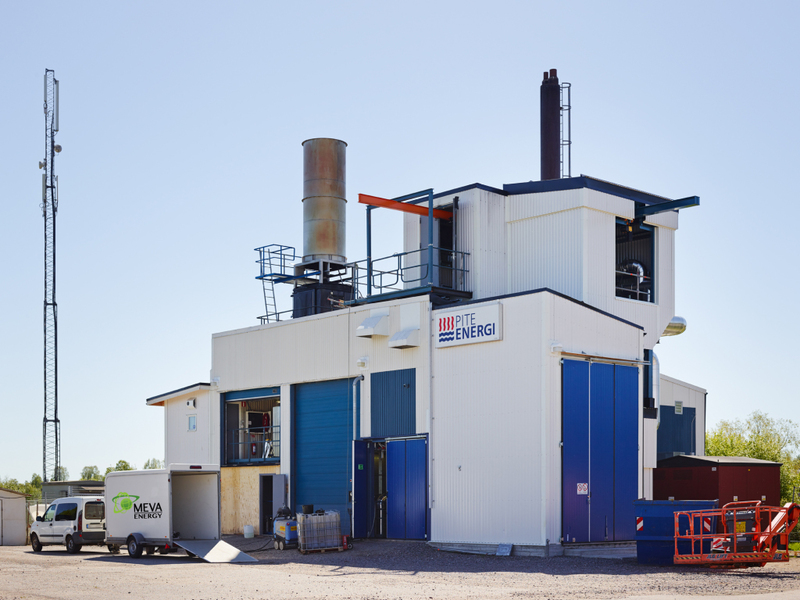 Today’s limits within European Union on emissions on 50mg/Nm3 of dust/particles are quite hard for many existing bioenergy boilers to meet due to direct combustion of the biomass. Meva Energy gasification process is a solution to this problem. 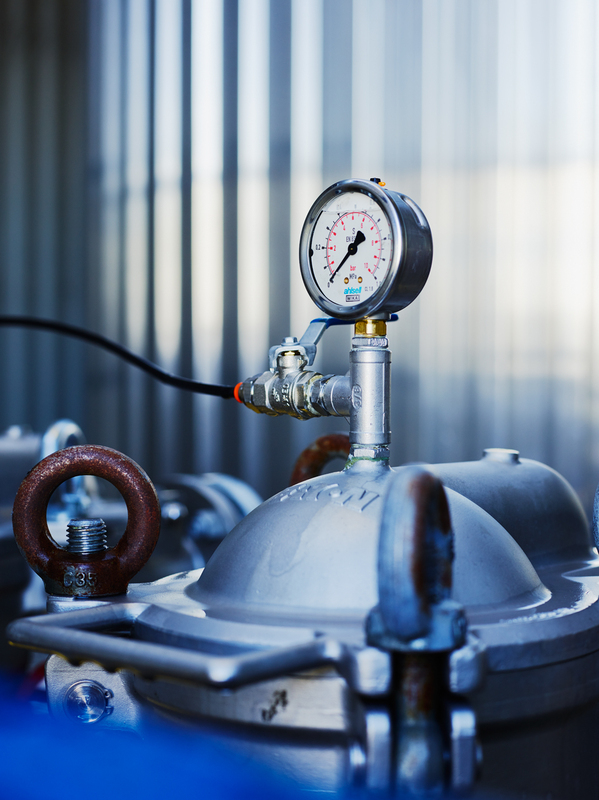 The hot flue gases from a Meva Energy plant is even below 1 mg/Nm3 of particles. 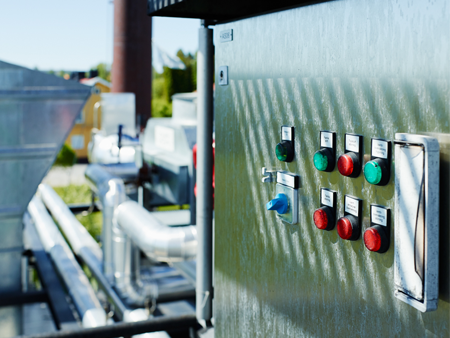 Meva Energy CHP and gas units could therefore be placed in both rural and urban environment. 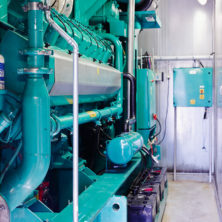 Engine installation at Hortlax. 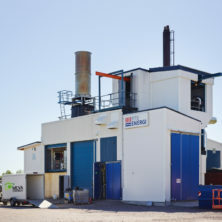 The Hortlax plant is located in Piteå, Sweden. Beside having maximum utilization of the produced heat, the key to reach maximum profitability conditions is to use a low cost fuel. As the system can use saw dust as fuel, one particularly interesting segment is saw mills and wood-producing industry where saw dust is a by-product.